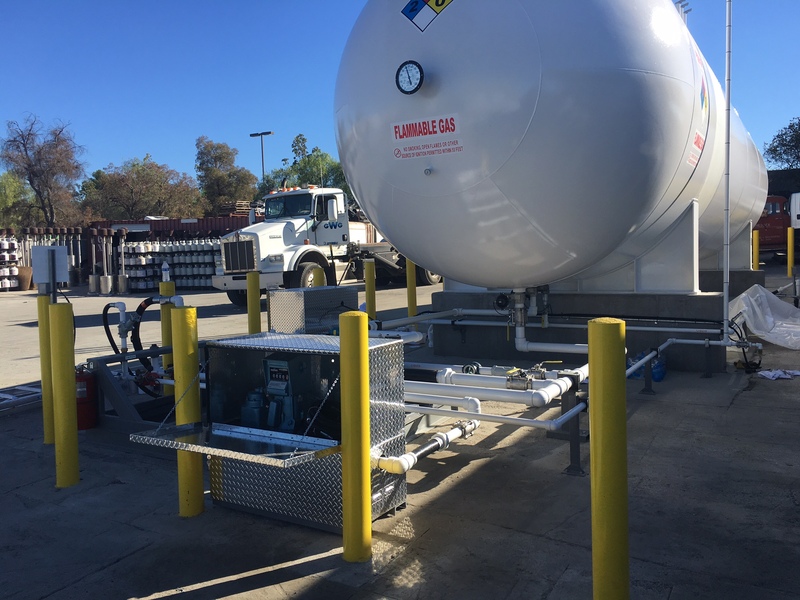 Alliance Truck and Tank offers complete LPG/NGL Bulk Plant Installation Services or can provide just the support you need to set up your new plant with existing equipment. From design to construction, let us manage your entire project via our Build On Site services. Have a tight deadline? Not a problem. Our Turnkey Modular Systems will save you time and money. All installations meet or exceed NFPA 58 2014. 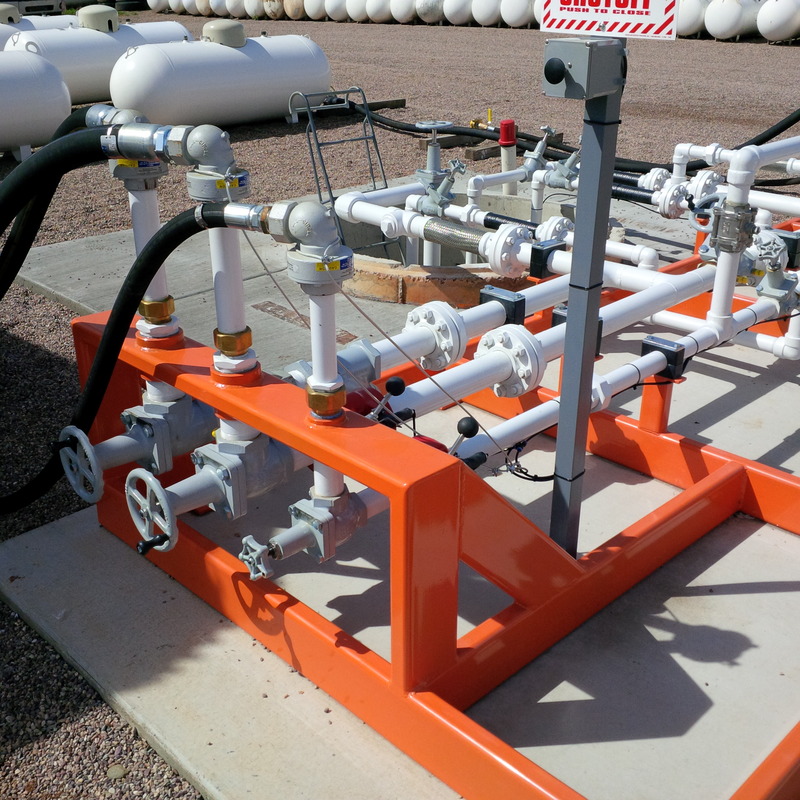 “Turnkey Modular Systems” like this pre-plumbed skid provide plug-n-play capability by including a pre-built bulkhead for bobtail loading and transport off-loading with a pre-piped 3″ pump and motor. 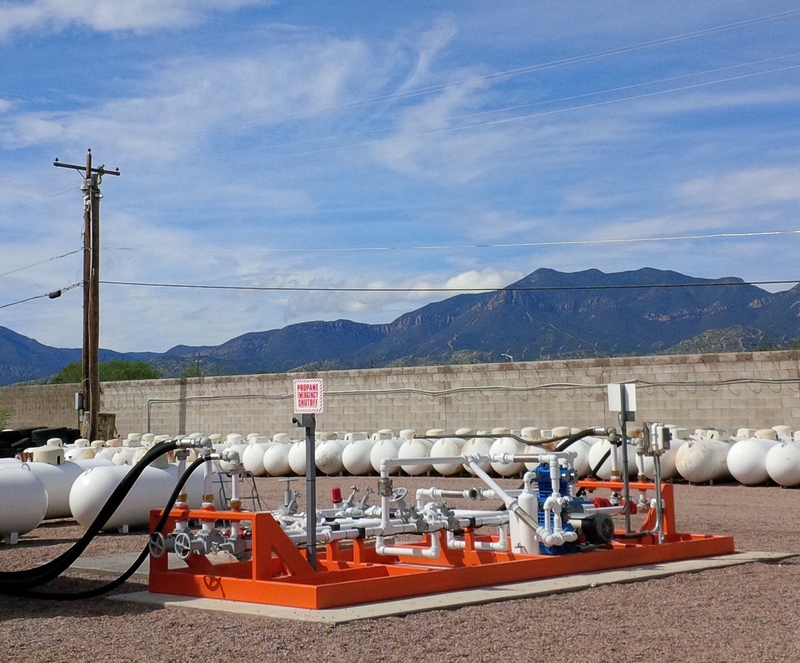 Perfectly suited for NGL gas-capture and other wellhead applications or LPG bulk plant installations, this modular approach reduces time in the field, requires a minimum of on-site piping work and simple connection to electrical service. Permitting Assistance. Project Design and Engineering, Fire Safety Analysis, Foundation Plans and other services as needed for obtaining required permits and approvals. Tank Foundations. Furnish and install engineered tank foundations. Tank Off-Loading and Installation. Crane service and labor to off-load and set bulk storage tanks, skidded tanks, and pier-mounted tanks. Crash Bollards. Install tank crash bollards and other types of crash protection. Standard crash bollard installations utilize 5″ diameter pipe. Concrete filled and painted.